Many people, young and old, start their musical life on a keyboard. When you have a good keyboard, like a new Casio, you will enjoy playing it and really want to continue with your musical development. There are a number of keyboard brands on the market, and Casios are renowned for their good quality and fantastic value. Kids love Casio keyboards for the fun features, like in-built songs and karaoke features. Adults love Casio keyboards for the great sound and versatility – especially with the new direct USB connection for use with your computer. When you buy a Casio you won’t have problems or complications with them, so you can just relax and enjoy playing. The new range of Casio models feature a truly impressive sound quality and awesome features. Each Casio model comes with 5 years warranty, and also our exclusive "Two years upgrade option" that allows you to trade in your keyboard later and receive the full value towards a digital piano or piano. Please talk to the Bernies team for more information on this service. Why not read our Guide for Parents of Piano Students too, to learn about the steps in instruments. 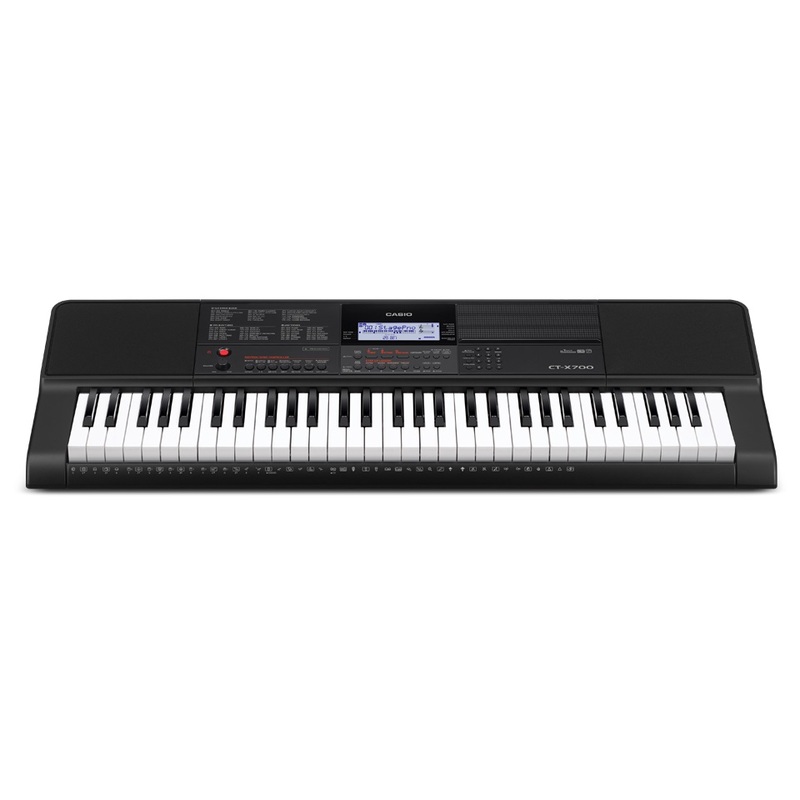 Bernies Music Land has the full range of Casio keyboards now on display and has great package specials, so call in today or phone (03) 9872 5122 for great advice. The Casio brand was established on the 1st of June 1957 in Japan. In January 1980, the company released the Casiotone electronic keyboard, the first of its kind and the beginning of a worldwide phenomenon. It brought the world of organ players into the future, where they could carry instruments with them and have multiple features at their fingertips. Bernies Music Land was one of the first stores to sell Casio keyboards in Australia, and has proudly offered them to our customers since this time. The Casiotone was designed to be so easy and fun to play that anyone could learn it without any special training or rigorous practice. The objective of the Casiotone was not to create a keyboard with the typical electronic sound, but rather with tones that reproduced the sounds of the piano, organ, and guitar. The economic growth at that time in Japan had created a cultural mood characterised by a shift away from material toward spiritual pursuits, and the Casiotone was enthusiastically accepted by the market as a fun new way to enjoy music. Today, Casio keyboards can be found in almost all corners of the world, a true testament to their quality and appeal. They have sold over 70 million keyboard instruments in their 31 years of keyboard making and Casio has become one of the world's largest keyboard manufacturers. The new generation of Casio keyboards offers some of the most exciting and creative features on the market, including ipod sampling, rhythm editor where you can create your own rhythm, and some great memory based features. Call in to Bernies Music Land for a demo today!